A Matter of Memories: :MEMORYWORKS EXPRESS: January 2010 Kit - "Beginnings"
:MEMORYWORKS EXPRESS: January 2010 Kit - "Beginnings"
Ring in the New Year with beautiful "Beginnings." 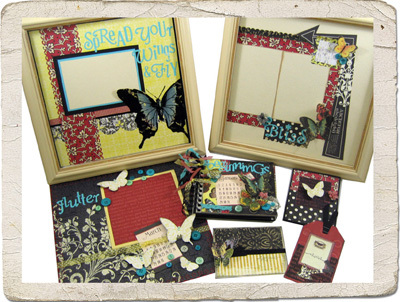 Fresh, fun, and new with a classy edge, you'll be able to start your scrapping new year off right with this fabulous new kit. It's packed full of beautiful patterned paper from companies like Pink Paislee, GCD Studios, and 7 Gypsies with matching page enhancements and embellishments. You're going to love this beautiful blend to start your new "Beginnings."